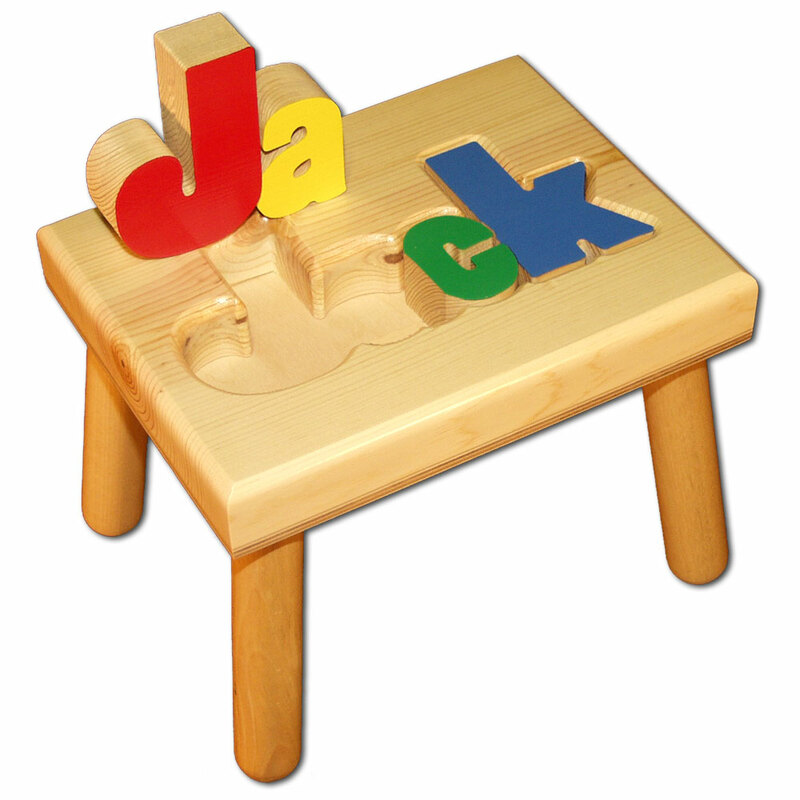 In 1971, Damhorst Toys manufactured the first ever personalized wooden name puzzle stool, patterned after a jigsaw puzzle. Made in America, the name puzzle stool became an instant hit. 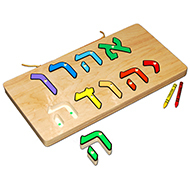 By design, it taught small children hand-eye coordination as they struggled with and then mastered proper placement of the puzzle pieces. 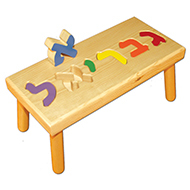 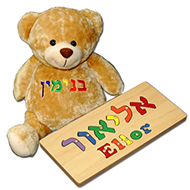 It taught them to recognize shapes and distinguish one letter and one color from the next, and to spell their name. 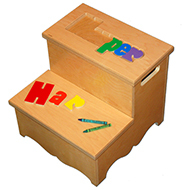 It also instilled a sense of independence while brushing their teeth, reaching up into a closet, and having their own "chair" to sit on while reading. 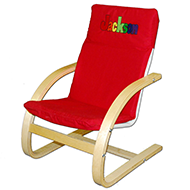 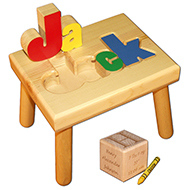 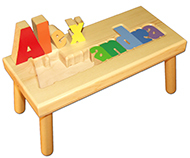 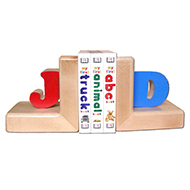 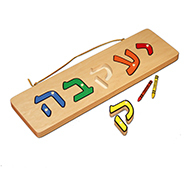 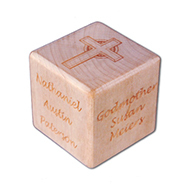 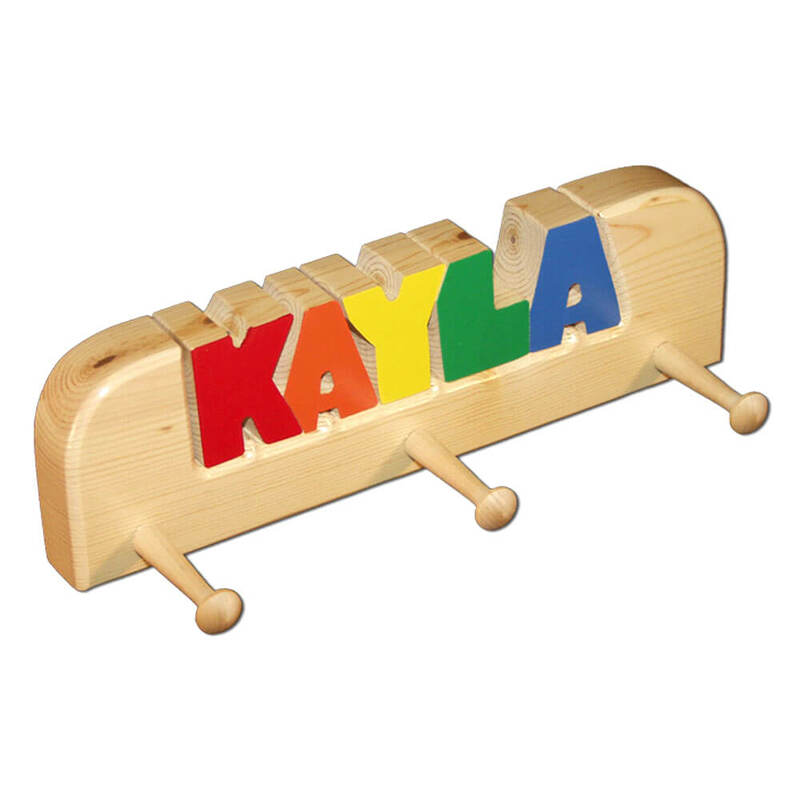 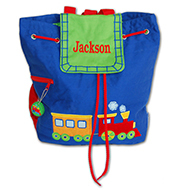 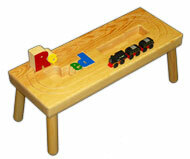 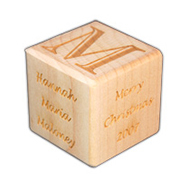 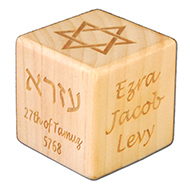 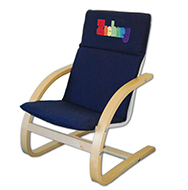 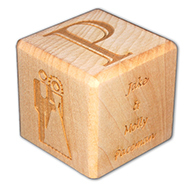 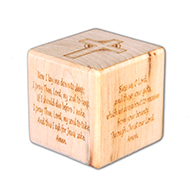 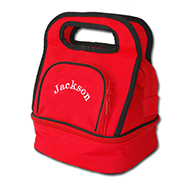 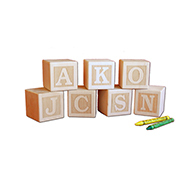 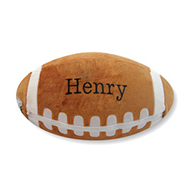 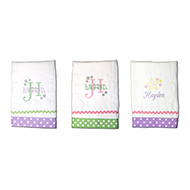 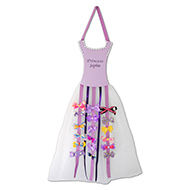 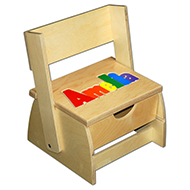 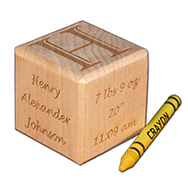 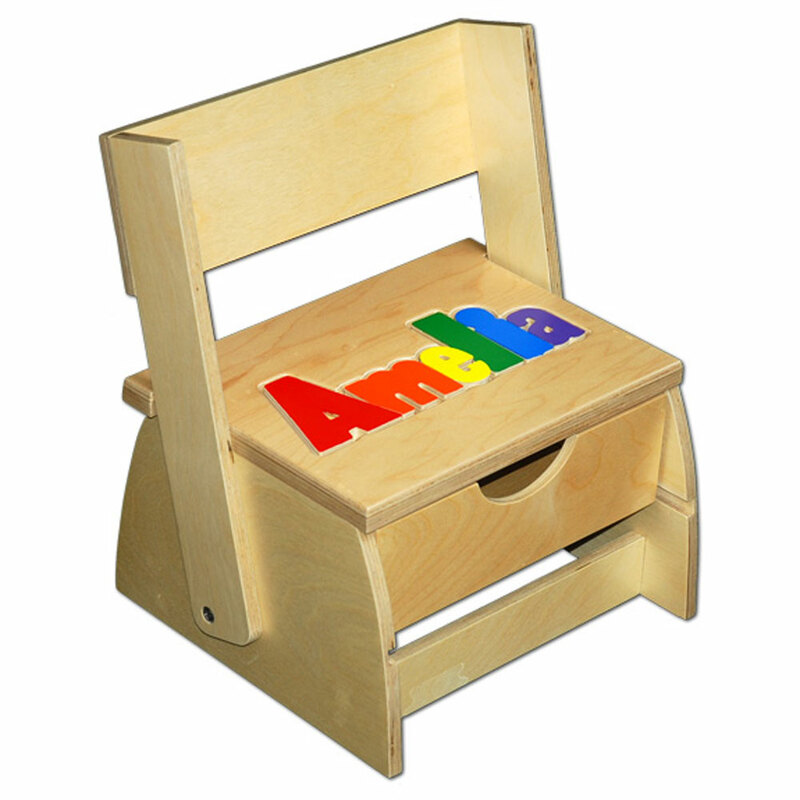 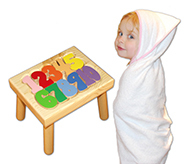 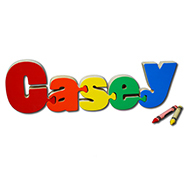 Today, our products include a personalized baby block, child’s chair, coat rack, wooden name puzzle, numbered puzzle, alphabet puzzle, name train, bookends, and learning letters. 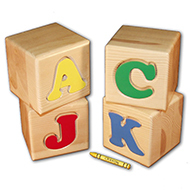 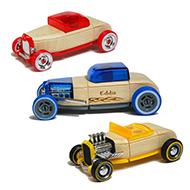 We are a second generation family-owned American business that manufactures American-made, "kid friendly" products, meaning that edges are smooth to the touch and paints and finishes are water based and non-toxic. 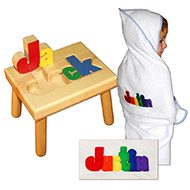 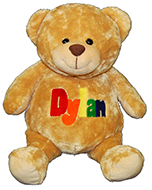 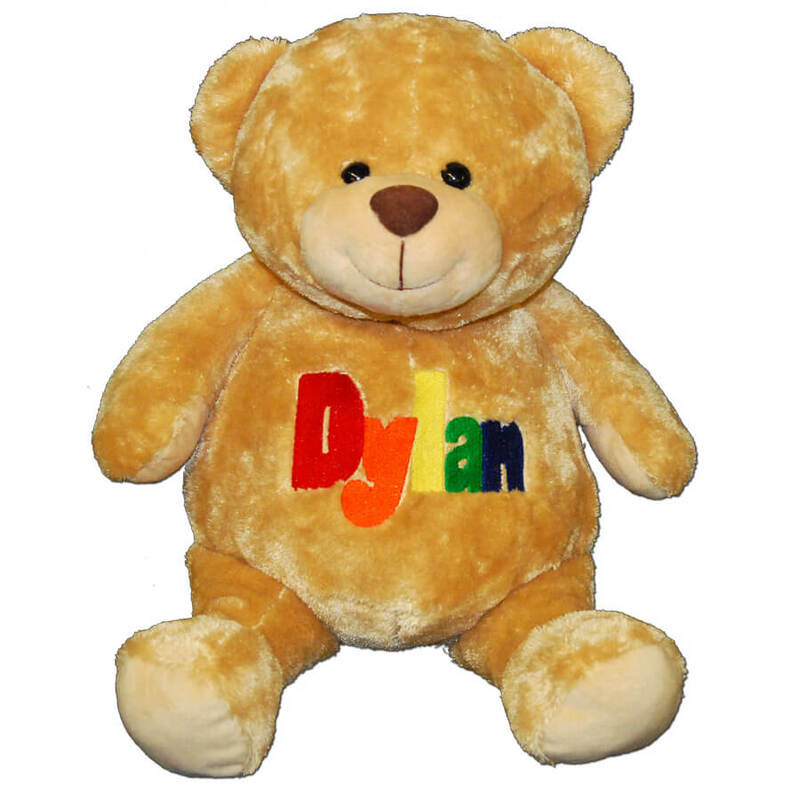 These one-of-a-kind handmade toys make for a great personalized baby gift, baby shower gift, birthday, Christmas, Hanukkah, or any other gift occasion. 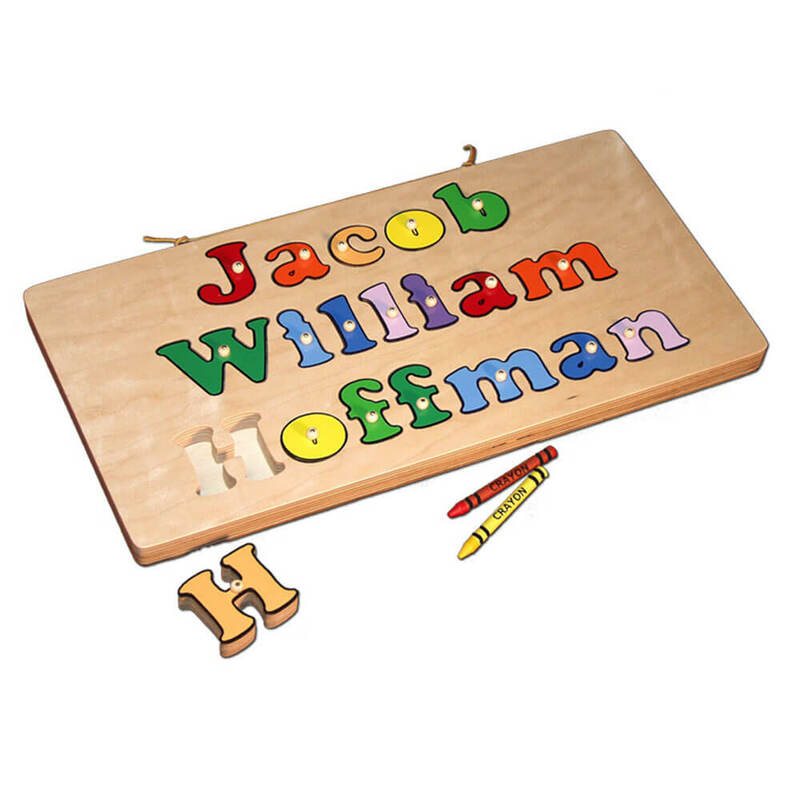 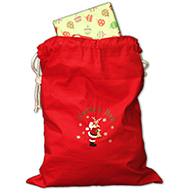 Allow your child to experience ownership of an heirloom quality Damhorst product, accompanied by our guarantee of unsurpassed workmanship and durability. 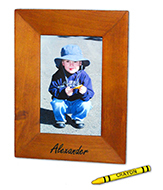 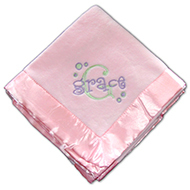 Before making your purchase, we invite you to read what customers are saying about our products. 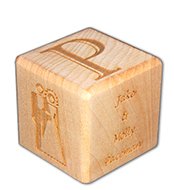 We look forward to your business.